Brothers and sisters in Christ – stewards of God, disciples of Jesus – grace and peace to you from God our Father and our Savior Jesus the Christ. Amen. This is the first of our five week fall stewardship worship series Empowered by Grace! Hopefully, even though you just heard a pastor mention the word stewardship, hopefully, you are still with me. Each week of this series you and I will celebrate and maybe even be challenged a little on many of the different pieces that make up stewardship in the life of people who claim to be followers of Jesus. There will be online videos posted to help you work through the bible study and essay that you will take with you as you leave worship each week. There will be Mission Moments at many worship services that will give us a chance to hear from other members of Good Shepherd about their own journey with stewardship. And there will even be an opportunity for us to offer our physical, spiritual, and financial self to God’s continuing work through this place that we love called Good Shepherd. So hopefully I haven’t already lost you as we begin this five week worship journey focused on stewardship. I honestly hope the next five weeks empowers you and I to grow in our relationship with God and with each other in ways that we can’t even imagine today. Our theme this week is Empowered by Grace to Know Your Purpose! One of the questions I offered during the children’s time was “What is a disciple?” They had some pretty fantastic answers, didn’t they? I’d like us to go one step further though. I invite you to turn to someone near you – it can be someone you came with or a complete stranger. I want you to look this person in the eye and confidently tell them that you know exactly what God’s purpose is for you and your life. Ready? Remember, be confident. Go. Great. Thanks. For many of us, that’s a difficult thing to confidently say – that we know God’s exact purpose for us and then name it quickly. Brothers and sisters, often when we think about purpose and how it relates to God, we immediately run to the self-help section of the library or bookstore in order to find the latest and greatest top 5 things that someone says we need to do in order to know God’s purpose for us. The problem is that many times, these resources have little to do with how our relationship with God or our brothers and sisters in Christ actually works. Especially when we take into consideration how God is revealed to us through Jesus Christ in scripture. Why is it that so many of us want to be in relationship with God, but only if we can have this relationship on our own terms, dependent upon our own conditions, and definitely within the confines of our busy schedules. We’re so busy building walls around God and putting limits on how God can live in relationship with us that even the God of all creation doesn’t stand a chance in ever getting close to us. Most often – if we are being honest with ourselves – when you and I look for meaning and purpose in our lives, we look in the wrong places and in the wrong directions. We believe that we need a different job or a better place to live or some new toys in our lives or maybe even a new husband or wife. Somehow, we don’t ever seem to get it. We don’t get that we’ve been created to be in relationship with God. And it is only through relationship with God that we begin to discover our purpose. Begin to discover that our purpose as part of God’s creation is to glorify God, to witness about God’s love for all, to serve God and God’s people, and to give of our time and our money to God’s work through places like our very own church. You and I have purpose by glorifying God. As stewards of God, disciples of Jesus, our purpose is to give God glory at all times and in all places. All of our thoughts, all of our words, all of our actions, all of our work, glorify God! Not just part of our lives, or when we make the time to show up and participate in worship if we like the music or preacher that day. 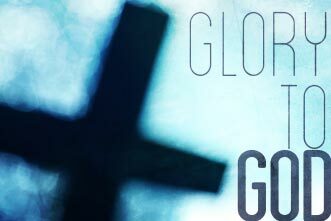 All of our life is to give God glory! You and I have purpose by being witnesses. As God claims us as his children in the sacrament of Holy Baptism we hear Jesus say to us, “Let your light shine before others, so that they may see your good works and give glory to your Father in heaven.” How is the light of Christ, a light that shines brightly in each of you, how is that light shining for others to see and experience? Are your actions, your work, or even your attitude reflecting the light of Jesus’ love for all of God’s children? You and I have purpose by serving. Jesus’ example and teaching couldn’t be clearer about that. 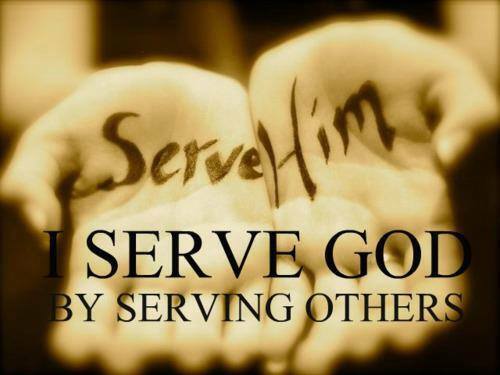 Regardless of who we are, how much money or education we have, or what we’ve accomplished, God calls us to serve. Finally, you and I have purpose by giving. 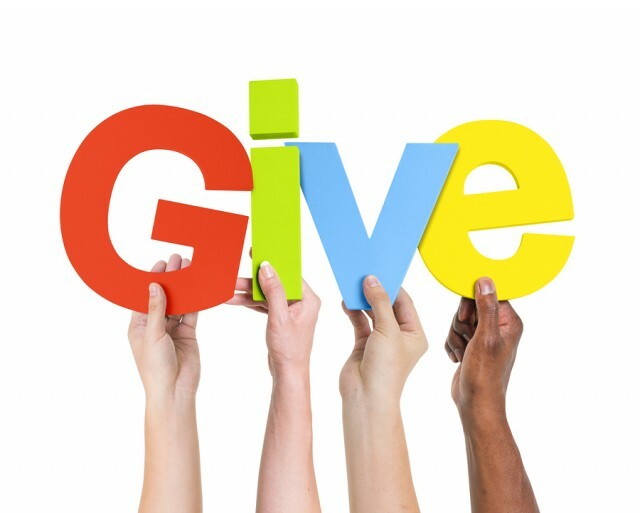 Simply put, brothers and sisters, you and I give because God gave first. By God’s very nature, God is a loving and giving God. Because God is love, he gives and keeps on giving. And the natural response of love is to give. Love is never close-lipped or tight-fisted. Love never asks how little must I give, but how much can I give. You and I are filled with the love of God. And because of that love, our purpose is to give. 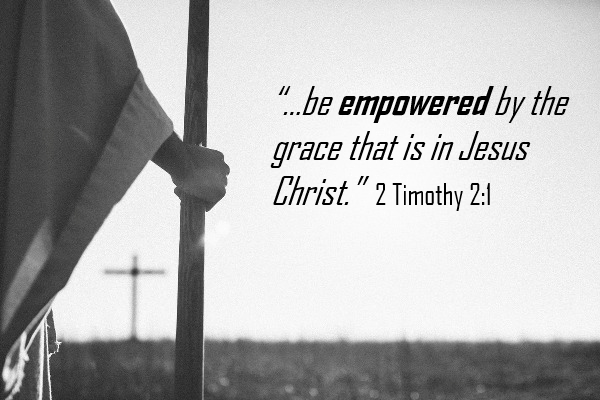 Brothers and sisters in Christ, over the next five weeks of the Empowered by Grace! worship series you and I are going to be invited to dig deeply into our purpose. Our purpose as stewards of God, disciples of Jesus who are being called to glorify God, to witness to others, to serve, and to give to God’s work in the world that is taking place in transforming and life-changing ways through places like Good Shepherd Lutheran Church. May you and I be blessed as we walk this journey together. I invite you to join me in prayer. Gracious God, nurture and strengthen each of our relationships with you. Empower us through your grace to know our purpose and the desire to fulfill the purposes that you have for us. Help us to be faithful to the purpose that you call us to live out each day. We offer our prayer on this day and in all the days to come in the name of our risen savior and Lord Jesus the Christ. Amen. This entry was posted on Thursday, October 29th, 2015 at 12:57 am	and posted in Recent Sermons. You can follow any responses to this entry through the RSS 2.0 feed.